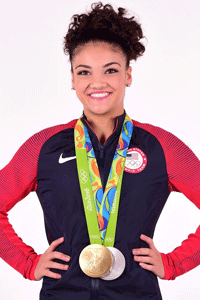 A Latina Jersey girl, Laurie Hernandez’s life took a dramatic turn when she was chosen, at age 16, to be a part of the 2016 U.S. Olympic gymnastics team. After winning gold in Rio as part of the Final Five, Laurie also earned an individual silver medal on the balance beam. Poignant and funny, Laurie’s story is about growing up with the dream of becoming an Olympian and what it took to win gold. She talks about her loving family, her rigorous training, her intense sacrifices, and her amazing triumphs. Be prepared to fall in love with and be mesmerized by America’s newest sweetheart all over again. 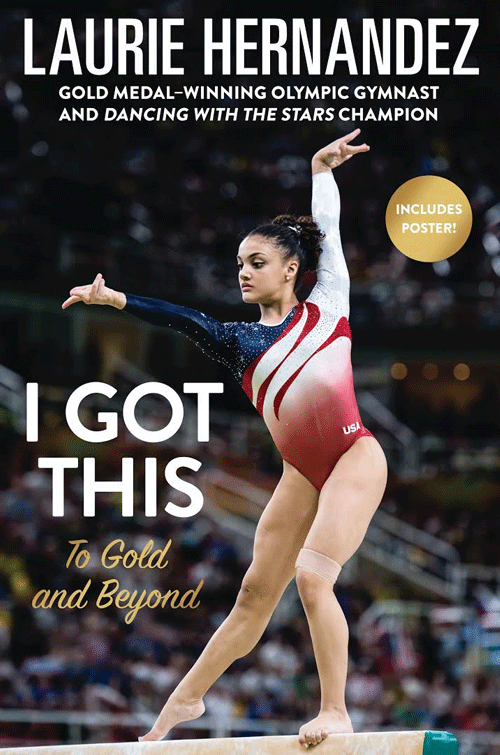 Author Talk and Photo Meet and Greet with Olympic Gymnast Laurie Hernandez! Saturday, October 14, 2017 at 3:45 p.m.
Purchase your ticket here prior to the festival or at the KidFest Information Booth (65 South Street) the day of the festival. For event questions, please contact info@morristownbooks.org. Proceeds from all ticketed events go to support our partnership with the Morris Educational Foundation. Q: What if I want to bring three kids? A: You will need to buy three tickets—this will cover the three kids and one chaperone. Q: What if two adults want to attend without any kids? A: You’ll need to buy two tickets. Q: What if I want to see/hear Laurie but I don’t want my photo taken? A: Tickets are required for all attendees. You’ll need to buy a ticket, which includes a pre-signed copy of Laurie’s book, to attend any part of the event. Q: Can I ask Laurie to sign a poster, my leotard, or any other item? A: No. Laurie’s time is limited, so the meet and greet will not include any book or memorabilia signing.